As part of Rufus’ training, we have to expose him to as many different things as possible and today was the turn of our local railway station. We sat watching people and trains on Platform one, often used for northbound trains towards Glasgow, but something just didn’t seem right….We spotted six faded yellow waste bins which seemed unusable due to their location. 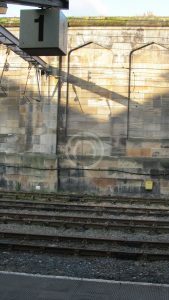 Positioned around a metre off the ground the receptacles appeared to have been installed as per some grand plan. However, it puzzled us how they would be used. 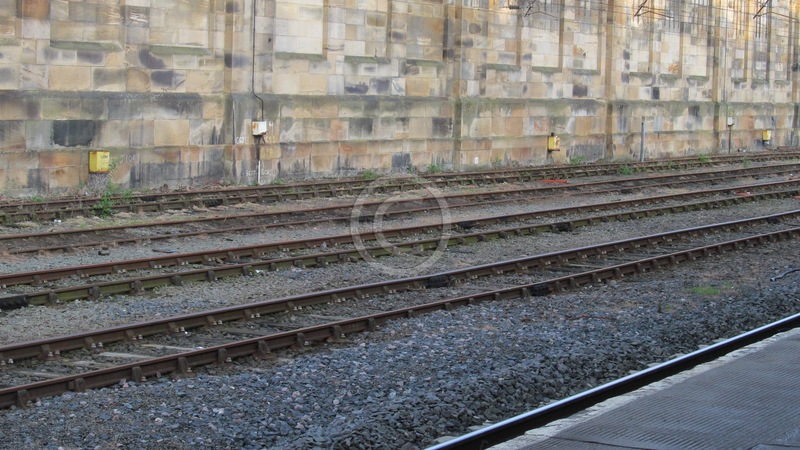 Between the platform and the dustbins lay five lines of railway tracks which made the journey to and from the bins extremely dangerous, so why are they so positioned? If you know then please share via the comments area below. Opened 10 September 1847 Carlisle’s Citadel Station was extended in 1880. Originally designed by William Tite the station has a frontage of more than 400ft. Tite also designed many of the early railway stations in Britain including nearby Lancaster Castle and Carnforth. 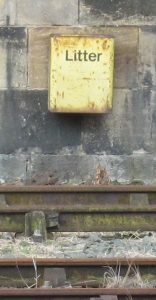 Litter bins on Platform 1 – possibly from the 1970’s? According to Historic England, the Grade II building is among the most important early major railway stations in Britain. 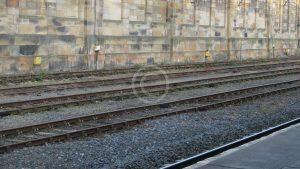 Platform 1 is often used as a relief West Coast Main Line platform and can be operated in either direction. Whilst doing a little research for this article it turns out that the railway system in this country has it’s own font or typeface used for signage and corporate identity. This bespoke sans serif typeface was devised in 1964 by duo Jock Kinneir and Margaret Calvert. It is called Rail Alphabet. 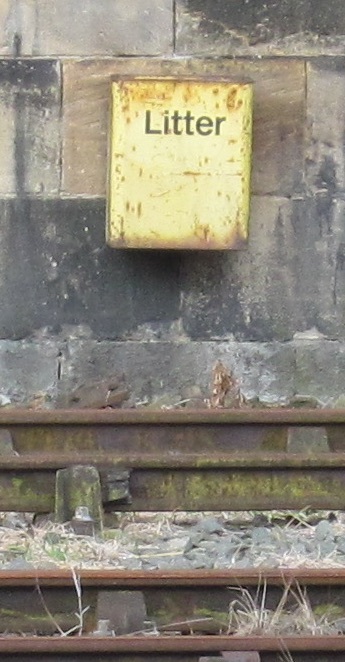 The Rail Safety and Standards Board still specify the font for a number of types of lineside signs. Not being an expert in such things it does appear that the word ‘Litter’ which appears on our faded yellow bins is in this font so possibly dates the bins to the 1970’s. So why are the bins so positioned and have they ever been used ? Let us know in the comments area below.